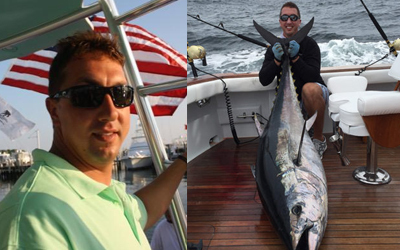 Vinnie grew up fishing with this father on the waters of Chesapeake Bay, North Carolina, and Florida. 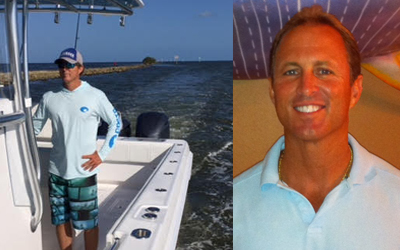 He has captained on many different sport fishing yachts, and has been a captain for Jimmy Buffett for many years. Vinnie has amassed a wealth of information on fishing techniques which he loves to share. He also has a passion for helping veterans through the charity he started -- Freedom Fighter Outdoors. Ryan grew up fishing and diving in South Florida. After studying Marine Biology at Florida Tech, he began traveling the world in search of remote locations and record fish. Ryan has been the number one ranked United States competitive diver for the last four years and is the 2017 U.S. spearfishing National Champion. Ryan is an accomplished competition free diver, U.S. Coast Guard licensed captain, PADI free dive instructor, ISA spearfishing instructor, 5-time world record holder, and international spearfishing guide. Manny continues to educate and entertain audiences. His approach is primitive - no cages, tanks, or armor protecting him from encounters with some of the most feared predators in the world. Manny interacts with sharks, faces down black bears, and dives in the swamp with the American alligator. 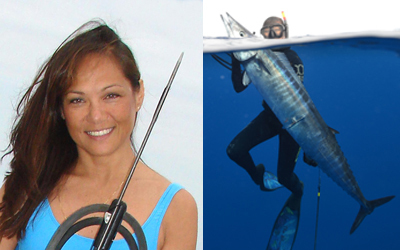 Sheri is a Freedive Spearfishing National Champ, multiple IUSA world record holder, and past host of "Speargun Hunter" on Outdoor Channel. She started the expo as a fundraiser for the developmentally disabled 10 years ago. She wishes to thank all the speakers, exhibitors, and volunteers that have turned it into what it is today - where we can all share, honor, and celebrate the ocean world. Jon is an accomplished fisherman, spearfisherman, and captain. He's won top honors in major billfishing tournaments, including 3-time World Sailfish Champions on the Get Lit.. He was the spearfishing National Champion in 1986/1988 and inducted into the Hall of Fame in 1988. Jon runs Diversion Charters, specializing in trips to the Bahamas and is sponsored by Contender, Yamaha, Garmin, and Costa. He is respected for his wealth of knowledge regarding fishing, spearfishing, and navigation at sea. 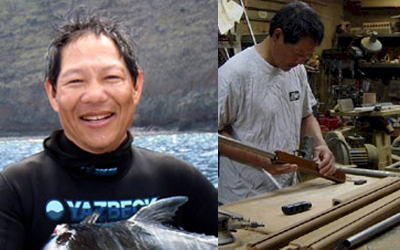 Dr. Daryl Wong is a dentist from Hawaii and is one of the premier builders of custom-made spearguns used around the world. He is also an accomplished spearo and world record holder, constantly experimenting with different designs and techniques. He enjoys reef and bluewater hunting and loves traveling to meet new friends. He is known for his generosity and for his kind spirit of aloha. Chris has had a passion for animals, especially toothy ones, since a young age. Aside from being a devoted photographer, Chris’s passion has also fueled a career as an entertainer, television personality, and a researcher with a degree in Environmental Studies from FIU. Chris's unique skills allow him to bring the camera lens close to oceanic pelagics, swamp creatures, and more. 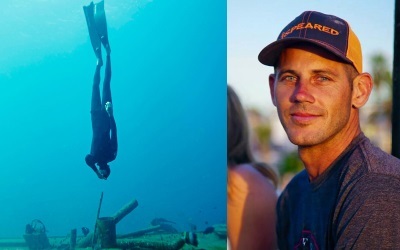 Ted started freediving professionally in 2009 when he became an instructor for Performance Freediving International (PFI). In 2010 he founded Immersion Freediving where he teaches PFI classes year round in Fort Lauderdale. 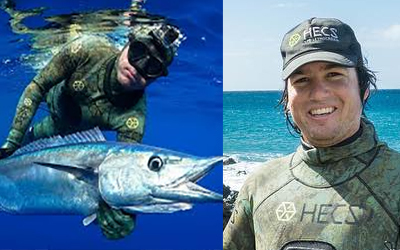 Ted has won multiple freediving competitions and is a US Freediving national record holder. Jim, also known as "Chiefy", is a retired Division Chief with Deerfield Beach Fire Rescue. 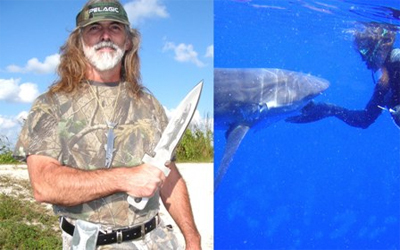 He is an avid diver and underwater hunter for more than 30 years. 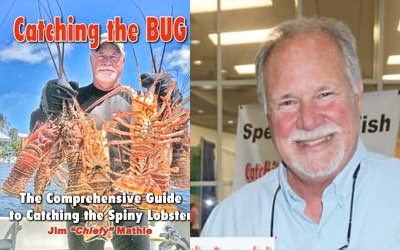 He authored Catching the Bug, The Comprehensive Guide to Catching the Florida Spiny Lobster and more recently Catching the Spear-it! The ABC’s of Spearfishing. Chiefy has been written about in the Sun-Sentinel newspaper and featuredon the Paul and Young Ron Morning Radio Show. He will be sharing how to Find, Catch and Eat Florida lobster. A South Florida Native, Forrest grew up a 3rd generation ocean-man. Utilizing freediving for photography, hunting, recreation and exploration, Forrest spent decades as a "student" of Mother Nature. 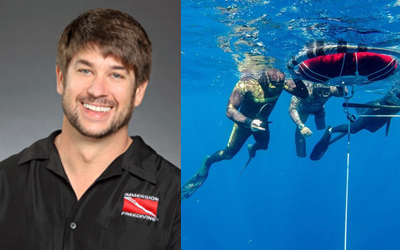 In 2002 he began his journey of Freedive Safety Advocacy and continues to promote it through courses, public speaking, and events throughout Florida. Forrest set a personal best of 257 ft with Bi Fins by utilizing techniques learned from various classroom and instructors. He now teaches these same skills and techniques. 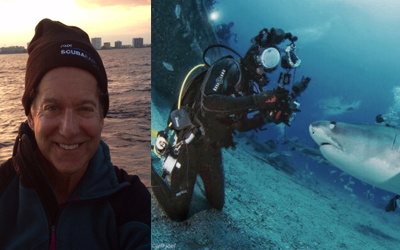 Gary has been a certified diver for over 45 years and is a Plastic Surgeon. He has fulfilled his life passion as a marine biologist with his research on marine microorganisms, as well as large apex predators. Dr. Rose lectures all over the world in an interactive and entertaining style. He will discuss the basic facts about sharks in our waters, including shark identification – in clear or murky water. 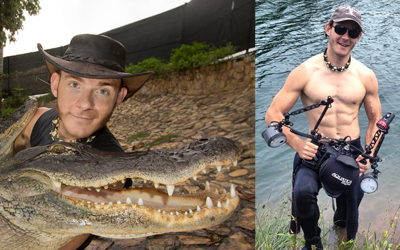 You can find him on weekends diving our local waters and photographing our plentiful and diverse sharks. A PADI Rescue Diver, CPR Instructor, and Level I EMS Instructor, Lana has over 35 years’ experience in pre-hospital EMS. 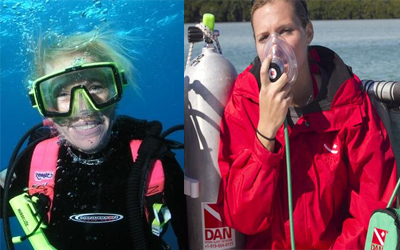 Lana has been scuba diving since 1994 and water skiing since she was 10. Lana has been a member of DAN’s medical team since 2012. She has a BS in International Business and recently finished her MBA. Charles J. Duffie (CJ) is a two time Men's Polespear World Record Holder, Former President of the FGCU Spearfishing Club, and Fisheries Biologist with a passion for the ocean and all of the Neritic Zone's inhabitants. Him and his father founded Neritic Diving in September 2015. At 11 years old, Tom started working in a Boca Raton tackle shop, and at 22, he opened his own. As a well known professional fisherman, Tom holds many fishing world records. 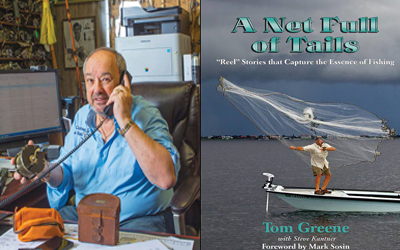 In addition to participating in international fishing tournaments, Tom is interested in golf and bowling and recently wrote a book called "A Net Full of Tails" about his years of fishing experience and the interesting people he knows. Tom is one of the largest collectors of antique fishing tackle in the world and is an authority on antique reels. 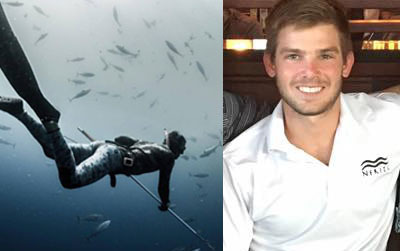 Ian grew up freediving and fishing in the Florida panhandle. His passion led him to a career in Marine Biology. 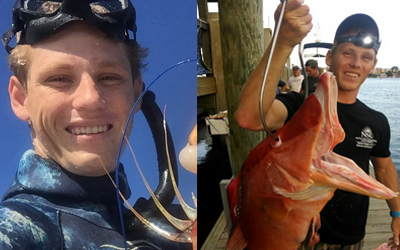 Ian began researching hogfish populations as a graduate student at Nova Southeastern University. The results of his research may change the way you look at these delicious reef fish. Ian is also an accomplished spearo, PFI freedive instructor, PADI Divemaster, and USCG certified captain.